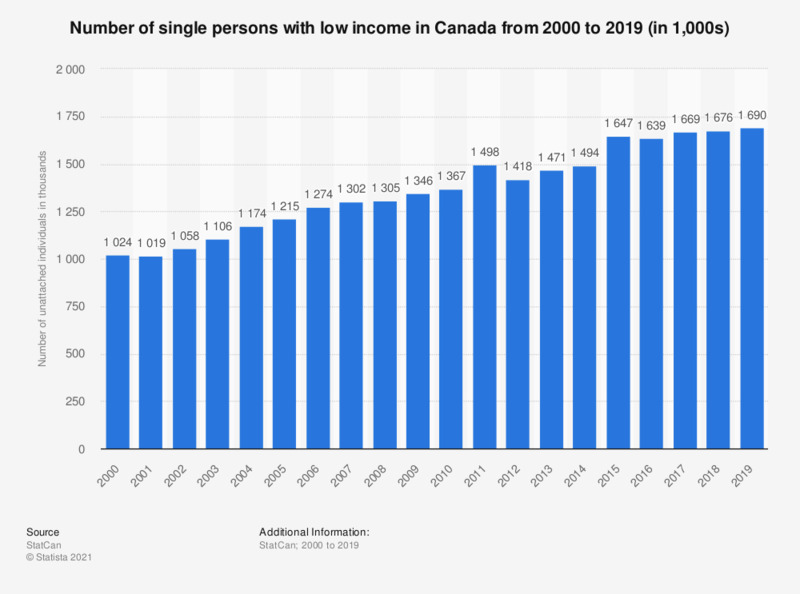 The statistic depicts the total number of single persons (unattached individuals) with low income in Canada from 2000 to 2017. In 2017, about 1.67 million unattached individuals were living on low income in Canada. *The percentages presented are of adults who fall below the threshold of low income measures (LIMs), which are 50% of adjusted median household income. Adjustments reflect the difference in needs of households based on the number of members.